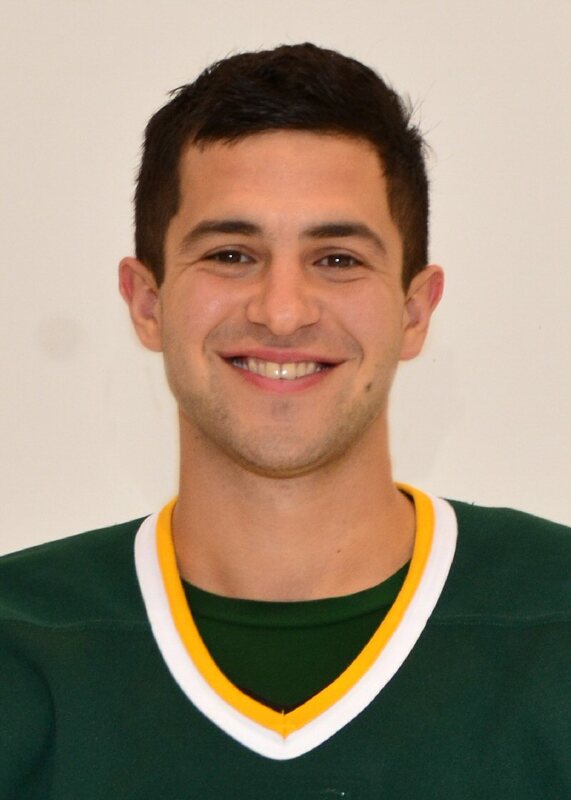 OSWEGO, NY – Oswego State men’s ice hockey player Paul Rodrigues (Etobicoke, Ontario) and women’s soccer player Shelly Bateman (Fulton, N.Y.) have been named the 2013 Oswego State Outstanding Senior Male and Female Athletes of the Year by the Oswego State Athletic Department. As a senior, Rodrigues became the first athlete in school history to receive National Player of the Year recognition in any sport when he was named the American Hockey Coaches Association (AHCA) Sid Watson Memorial Award winner, which is symbolic of the nation’s best Division III men’s ice hockey player. It also marked the first time that a SUNYAC player garnered the award. He was later named the D3hockey.com and USCHO.com Division III Men’s Ice Hockey National Player of the Year. Rodrigues also became the ninth Laker in program history to earn the SUNYAC Herb Hammond Most Valuable Player award, after being named Second Team All-SUNYAC as a junior. In his final year, Rodrigues finished second in the nation in scoring with 16 goals and 30 assists in 30 games to average 1.53 points per game. By the end of his career, Rodrigues earned the nickname “Mr. Overtime” after scoring four overtime goals, including game-winners in the 2012 NCAA semifinal game against Amherst and the 2013 NCAA quarterfinal game against Adrian. 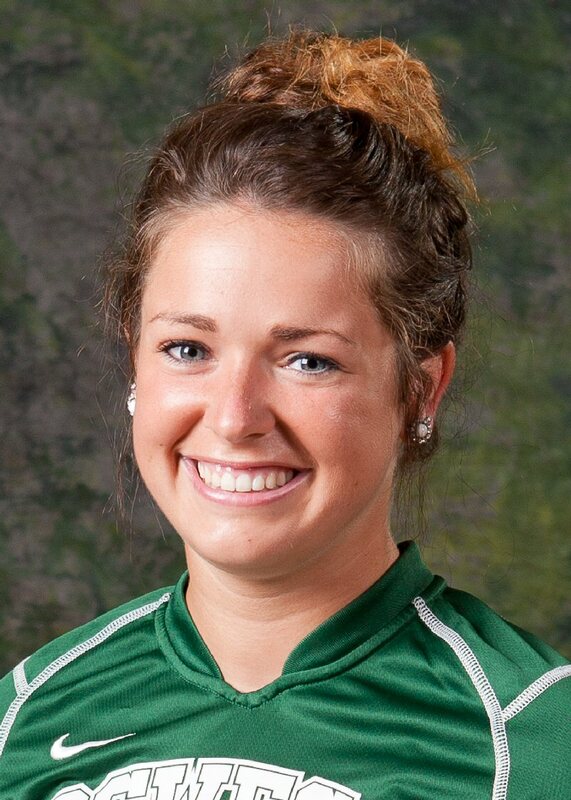 Michelle (Shelly) Bateman made her mark on Oswego State women’s soccer during her first season as a Laker, posting one of the best statistical seasons in school history, and continued to excel over the course of the next four years. Bateman scored her first collegiate goal 25 seconds into her career, one of 16 she poured in during her freshman campaign. In her first four games, Bateman totaled eight goals and three assists en route to 37 points, which ranks sixth in school history for a single season. She went on to be named Third Team All-SUNYAC three times in her career, finishing fifth in school history with 79 points. Her 17 assists and 31 goals rank fourth and fifth, respectively, in program history. Bateman helped the Lakers post 32 wins in four years, including an 11-8 record in 2011, which was the best by the women’s soccer team since 1996. In her junior season, Oswego State also won the program’s second ECAC Upstate New York Championship. Bateman took the lacrosse field in her senior season as a defender, tallying a goal and an assist in 10 starts for the Lakers to show her versatility as an athlete.